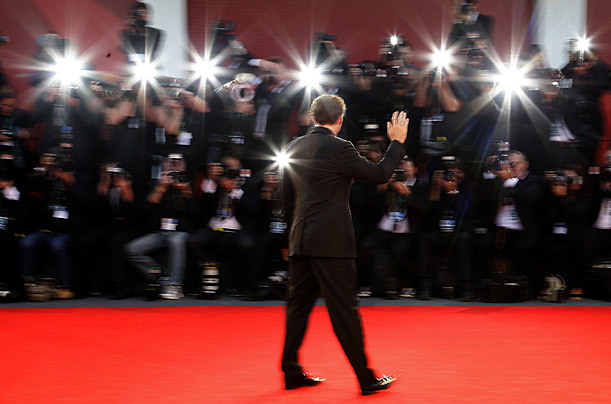 Can Film Festivals Work Together? Can film festivals work together? That was one of the provocative questions brought up on the first full day of the International Film Festival Summit, a "meeting of the minds" event that is bringing together leading film festival reps in Berlin today and tomorrow. The event is being held at the Berlin Hilton Hotel. "While I think that collaboration can always happen, the idea that film festivals will share their contacts, films or sponsors is rather utopian", commented Basil Tsiokos, Festivals Director for international sales agency Shoreline Entertainment and a documentary programmer for the Sundance Film Festival. This sentiment was also echoed by Deborah Young, Festival Director of the Taormina Film Festival in Italy. "In Italy, there is alot of competition for funding and sponsorships, with the two largest ones, Venice and Rome trying to outdo each other". Michelangelo Messina, Director and Founder of the Ischia Film Festival, also in Italy, was more positive. "We work closely with festivals in our region, most specifically the Naples Film Festival, in sharing ideas, films and guests. We also have good relationships with festivals in other countries, although the situation in Italy can sometimes be difficult." Another Festival Director who has had good experiences collaborating with festivals outside his home territory is Scott Hillier, the head of the European Independent Film Festival, which takes place in Paris in March. "We have had good success in taking a selection of our programming to festivals in other countries. They want to know about young European talents and it gives us a chance to promote our event internationally." Also positive on the subject was Bente Maalen of the Trondheim International Film Festival in Norway. "In Norway, several of the film festivals work together along with a local distributor on a few films each year. The distributor gives each festival a different premiere and then uses the exposure at the festival in their marketing campaigns when they open the films in theaters". Javier Martin-Dominguez, the Artistic Director of the Seville Festival of European Cinema in Spain, spoke about his festival's inclusion in a new program being coordinated by French sales agent Wide Management. They are creating a worldwide festival circuit for a group of films and also tying them in with local distributors. "It is an ambitious idea", Martin-Dominguez offered, "we are open to the idea and will wait and see what kind of success it will be for both festivals and filmmakers." While festivals that are close together in either geography or timeframe already collaborate on print shipments and sharing of guest invitations, the idea of sharing content is still a controversial one. Aside from this specific topic, Summit attendees also participated in an informative discussion on incorporating new marketing techniques into their planning and execution, as well as receiving a highly entertaining presentation by Peter Belsito of Film Finders, a veteran of the film festival circuit, who laid out the current landscape of the key festivals that professionals and press attend and ones that are on the ascendant.